Heat exhaustion basics – know the signs. If you haven’t gone out much this summer yet, you might be in for a rude awakening with the sun. As temperatures continue to rise, dehydration becomes inevitable if you don’t drink fluids throughout the day. Over time, heat exhaustion may set in and if you don’t treat it right away, you may find yourself in a local emergency room. NOAH has you covered with some great information about the basics of heat exhaustion. In order to treat heat exhaustion, you first need to know the two causes. Water depletion can cause heat exhaustion which can happen within a few hours of exposure to heat and inadequate intake of fluids. Another type of heat exhaustion comes from salt depletion which happens over a longer period of time as a result of inadequate replacement of salt losses from sweating. Most heat exhaustion is due to a combination of these two causes. Although heat exhaustion isn’t as serious as heat stroke, it is important to recognize the signs and symptoms and intervene so that it doesn’t progress to heat stroke, which can damage the brain and other vital organs, and even cause death. •	Dark-colored urine (a sign of dehydration). •	Muscle or abdominal cramps. •	Nausea, vomiting, or diarrhea. 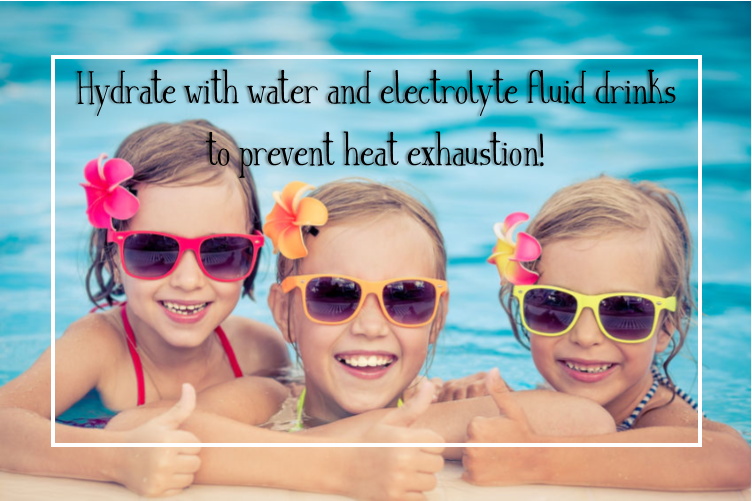 To PREVENT Heat Exhaustion or other Heat Related Illness remember to hydrate with water and electrolyte fluid drinks, especially with prolonged exercise to replenish fluids and salts lost. Remember to drink half your body weight in ounces of water per day, which is a good rule of thumb to help you stay hydrated and keep yourself out of the sun on hot summer days, especially during peak hours. Your Care Team at NOAH are here to help you create and manage your healthy lifestyle habits. Need help setting or sticking to your goals? Call 480-882-4545 or request an appointment today!